Asthma is a respiratory disease and the breathing techniques for asthma help the affected lungs and make the respiration easier. 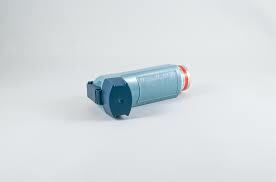 People with asthma tend to breathe faster than the normal ones. There are also people who are suffering from asthma and they tend to be mouth breathers. This also triggers asthma as the air that goes through the mouth is drier and cooler. There are various treatments and remedies that are followed by curing this respiratory disorder. There are medicines too that are taken for treating this disease. 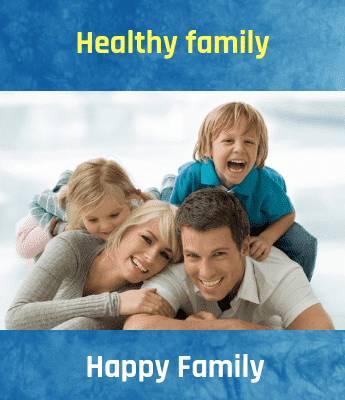 But it has been researched and identified that people suffering from asthma should go for the breathing techniques for asthma and try them regularly. Following are the breathing techniques for asthma that would really help people to cure this disease to a great extent. Shallow breathing is encouraged for curing asthma. The shallow breathing should be followed in a moderate controlled rate in order to reduce the symptoms of asthma and also to reduce the intake of the medicines to cure this. This is the simplest technique for treating asthma. It does not require much effort and learning. All that you will have to do is relax and sit in a calm and composed way. Try to concentrate on your breathing. You should be very conscious about your breathing. You can also close your eyes if you want not to get distracted from the surroundings. Breathe in from your nostrils. Deeper breathe. When you inhale the air, the abdomen should expand and come out. Make sure that your chest does not come out. Exhale slowly and from your mouth and your abdomen should go inside. This breathing technique is very simple and yet very effective. You need to work on it regularly in order to see the results. In this technique, the patients who are suffering from asthma tends to become more conscious of their breathing that goes at a faster rate than the normal ones. The volume of your breath is reduced or the breathing rate is reduced with this technique. You need to sit straight and relax first. Let your mind and body relax. Let your abdomen muscles also relax. Concentrate and focus on your breathing. Breathe in from your nostrils slowly and hold for a minute. Then exhale all the air from your mouth until you feel that there is no air left in your lungs. It has too short breathe. The breaths need to be deeper ones where you are more conscious about controlling the volume and the rate of your breath and the breathing movements. This need not be an intensive one and this should be a gentle exercise. In this type of breathing techniques for asthma, you concentrate on your breathing movements and also the physical activity simultaneously. The activity helps to control your breath and the rates in which you breathe. You can sit back and try this. Keep yourself calm and relaxed. Don't stress. Let your body and use relax. Close your eyes and concentrate on your breathing movements and the physical activity that you are doing. Breathe in from your nostrils and breathe out from your mouth. Rotate your shoulder and do the same. Try the same breathing movement with your raised arms. Try different physical movements and try the breathing technique. It has been researched and surveyed that trying yoga for treating asthma could reduce 43% chances of using the inhaler and various other symptoms. Yoga is nothing but the physical exercise accompanied by the physical postures that make you concentrate and focus on your breathing and the posture at the same time. This technique is similar to the above-mentioned methods. People who are suffering from mild asthma can try this for the treatment. People who have got asthma due to cold and allergies can also try this method of breathing wherein you regulate your breathing movement along with the pace. Asthma attacks happen when the air is trapped in the lungs and you feel difficult to let the air go and exhale it and then inhale it. This technique can be used more when you are having asthma attacks. This technique would also help you to breathe out the trapped air and then breathe in the fresh air from the surrounding following the proper respiratory movement. You should inhale air and have your lips closed. While breathing out you should not open your mouth widely and instead, you need to have pursed lips and then exhale the air like you are whistling. This should be done slowly and gently. This is similar to the diaphragmatic exercise that we mentioned above. This exercise is also similar to the diaphragmatic exercise. You need to lie down and relax. Close your eyes and concentrate on your breathing movements. While breathing through the nostrils, tighten your right foot, and then relax. You will feel the tensed muscles and then release them. Follow the same for the limbs too. When you do this, you will feel weightless and you will want to relax. Try relaxing s much as you want.